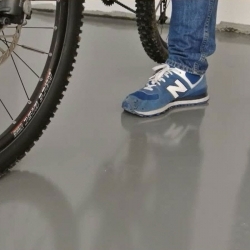 Solvent free, self-leveling, two component epoxy to flatten out rough concrete floors that provides proper smoothness and a good key for adhesion on concrete floors and cement screed floors. 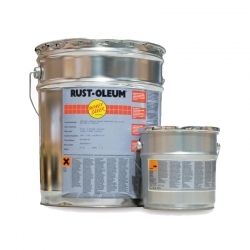 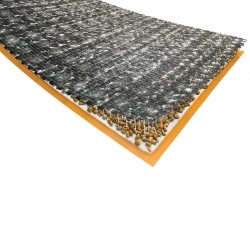 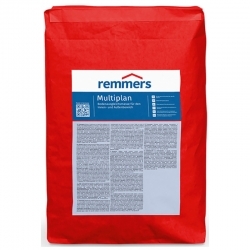 Rust-Oleum 5170 Scrape Coat is designed to flatten out rough concrete floors. 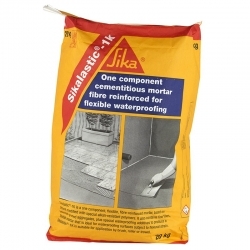 The product provides proper smoothness and a good key for adhesion on concrete floors and cement screed floors. 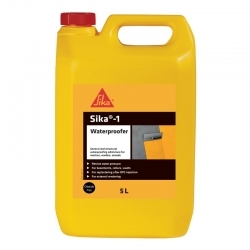 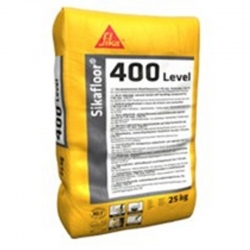 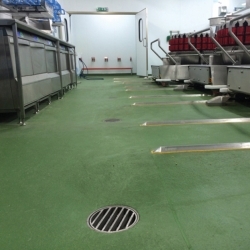 Sikafloor's 156 is a two part epoxy primer, levelling mortar and mortar screed. 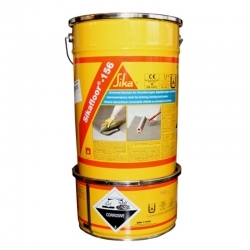 On its own it is a low viscosity, solvent free epoxy resin, that can be used for priming concrete substrates, cement screeds and epoxy mortars. 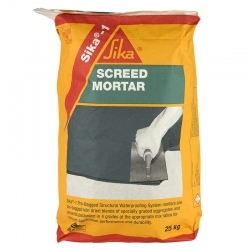 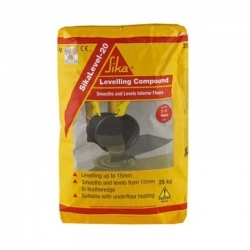 Combined with Quartz Sands and Sika Extender T is becomes a levelling mortar and mortar screed. 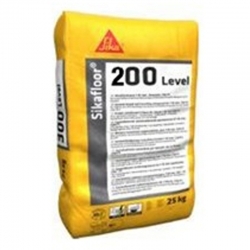 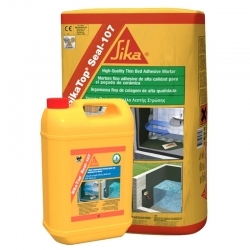 SikaTop Seal 107 is a two part polymer modified cementitious waterproof mortar slurry comprising of a liquid polymer and a cement based mix incorporating special admixtures. 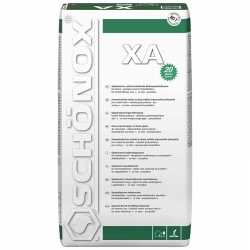 SCHÖNOX RR is a rapid setting repair mortar for use from 1 to 50mm suitable for direct bonding of coverings in interior areas. 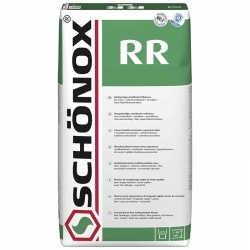 After adding of 5.5 litres of water to 25kg of powder, SCHÖNOX RR is ready to use.